We’d love your help. Let us know what’s wrong with this preview of The Cornwalls Are Gone by James Patterson. To ask other readers questions about The Cornwalls Are Gone, please sign up. Is this the same book as The Cornwall’s Are Gone? If so, why are there 2 different names to the book? In their latest collaborative effort, James Patterson and Brendan DuBois offer readers an interesting thriller with elements of suspense throughout. Amy Cornwall is part of Army Intelligence and has a keen sense of foreboding. When she arrives home to discover that her husband and daughter are missing, her panic boils over. Worried about the worst, Amy is contacted by the kidnappers, who offer up a plan to have her collect a man in a small Texas town before delivering him and getting her family In their latest collaborative effort, James Patterson and Brendan DuBois offer readers an interesting thriller with elements of suspense throughout. Amy Cornwall is part of Army Intelligence and has a keen sense of foreboding. When she arrives home to discover that her husband and daughter are missing, her panic boils over. Worried about the worst, Amy is contacted by the kidnappers, who offer up a plan to have her collect a man in a small Texas town before delivering him and getting her family back. Not caring about the consequences, Amy goes AWOL from the Army and leaves her Virginia home to trek across the country. While on rural roads, she encounters a few troopers and her paranoia almost turns her into a murderer, wanting to get her family back above all else. Meanwhile, the ragtag group of kidnappers seem clueless to the larger plan and bide their time, keeping Tom Cornwall and his daughter in relative discomfort, at least until they are told otherwise. Unsure if Amy is coming, Tom can only wonder what’s led him to be held captive and whether this could be in retaliation to something Amy did while deployed. Amy makes her way across the country and takes matters into her own hands, killing people to secure the target, but is then sent on another wild goose chase, with local police and the military tracking her down for their own reasons, as the Cornwalls remain separated in a high-stakes game of cat and mouse. A page-turner if ever there was one, Patterson and DuBois offer up a wonderful story that is full of entertainment until the very end. Recommended for those who need a good novel to keep them company on a rainy day or while on vacation! Fast paced and action packed! I’m hoping to hear more from the Cornwalls. I got this ARC of this one because the plot really intrigued me. It did not disappoint...what a ride, with so many twists. I was on the edge of my seat the entire time, never wanting to put it down. Highly, highly recommended. This was a fast-moving book. It kept me interested through the whole book. This was a pretty good thriller. It moved quickly from the start. The story was a fairly good one and the characters were good. I would recommend it for a nice, quick read. This wasn't bad, but it wasn't good either. I feel like this plot has been done multiple times before. I skimmed a lot of it. And I didn't feel guilty about doings so. What can you say when it's James Patterson? This one had a strong heroine in Amy Cornwall with a position of authority as an Army Intell Officer but what was a fresh idea was in locating &liberating an unnamed captive and do so in a short amount of time or else say bye to her family (her husband and daughter who were kidnapped). The main guts of this one centered around Amy and the clock that was ticking with each pounding breath. As it progressed it was fast paced as all James books are but it What can you say when it's James Patterson? As it progressed it was fast paced as all James books are but it didn't bring me in as I had hoped so for that it was rated accordingly. So happy one of the local libraries in our county had this one relatively quickly so that this review could be conducted in a timely manner. I’m going to keep this one short. First, this was a great story that was engaging, well-crafted and edgy. The problem? EDITING. For the love of all things holy, can’t Patterson afford the very BEST editors? Misspelled words, poor punctuation and incorrect facts are scattered throughout. I’m unsure whether this was a result of NO editing, a release of the wrong draft or Kindle translation issues, but it made for a disappointing experience. The first in the Cornwall series,(I hope there will be more to come). I thought it was a good, very exciting book. A lot of people I know refuse to read any of Patterson’s books anymore, thinking he gets the credit when actually a coauthor has written the book. I, for one, read all of his books. Sure a coauthor may write a substantial amount of the book, but Patterson definitely contributes. 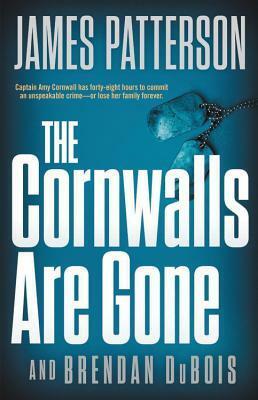 James Patterson’s name on a book definitely draws attention to the coauthors name, and helps that authors The first in the Cornwall series,(I hope there will be more to come). I thought it was a good, very exciting book. A lot of people I know refuse to read any of Patterson’s books anymore, thinking he gets the credit when actually a coauthor has written the book. I, for one, read all of his books. Sure a coauthor may write a substantial amount of the book, but Patterson definitely contributes. James Patterson’s name on a book definitely draws attention to the coauthors name, and helps that authors career. Because of seeing a coauthors name I have discovered some excellent authors whom I may never have found without Patterson’s name. This book was somewhat different than most of Patterson's book, but just as good. An Army Intelligence Officer returns home from work and finds her husband and daughter not there. Then she receives a call saying her family has been kidnapped and if she wants them back, she has 48 hours to find and liberate an unnamed captive. The story has lots of twists and turns and the ends a major twist. Patterson sent out a note supporting his latest book and it’s protagonist, Amy Cornwall. I wanted to dislike it after that self advertising, but I couldn’t. It is one of his better thrillers of recent publication. So yes, I affirm, it is worth your time. Enjoy! Fast-moving kidnap thriller with enough action and twists to keep things interesting. Great book!! I hope there is another book with Amy Cornwall. She’s a great character. 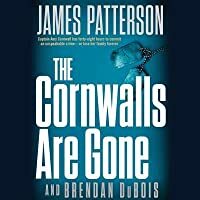 We are blessed so early in the year to have a second collaborative effort by James Patterson and Brendan DuBois (after THE FIRST LADY) with the publication of THE CORNWALLS ARE GONE. This new stand-alone novel has everything that thriller aficionados want and expect in a first-rate tale that starts off strongly and never loses steam. Patterson and DuBois keep things moving by frequently switching the narrative's point of view at strategic moments, thus ratcheting the suspense level upward and onw We are blessed so early in the year to have a second collaborative effort by James Patterson and Brendan DuBois (after THE FIRST LADY) with the publication of THE CORNWALLS ARE GONE. This new stand-alone novel has everything that thriller aficionados want and expect in a first-rate tale that starts off strongly and never loses steam. Patterson and DuBois keep things moving by frequently switching the narrative's point of view at strategic moments, thus ratcheting the suspense level upward and onward throughout the book. This fast-paced tale begins with Captain Amy Cornwall, an Army intelligence officer who is one of the few women to complete Army Ranger training. The authors waste no time placing Amy in the line of fire. Actually, that isn’t quite accurate. The truth is much worse. It is Amy’s family --- her husband Tom and daughter Denise --- who are in danger. She learns of this rather quickly (the first page of the book) when she comes home to discover that they are missing, with a cryptic and intimidating message left for her in their place. A phone call soon follows. Amy is informed that she must travel from their home in suburban Virginia to a small town in Texas and liberate a man who is being held there. It is made quite clear that the lives of her loved ones depend on her success. She is supposed to be questioned the following morning concerning her actions at an Afghan camp where things went horribly wrong, but she never hesitates, even as she knows that the consequences to her career may be catastrophic. When Amy fails to appear for questioning, Captain Rosaria Vasquez is tasked with finding her and bringing her in. Vasquez is at first angered by Amy’s seemingly cavalier disappearance, but begins to wonder how her superior officer is able to provide intelligence as to her whereabouts. Meanwhile, Tom and Denise are being held at a clandestine location by a team that is led by a mysterious figure who all too soon makes it clear that he is not to be trifled with. Tom, a journalist who had been researching a book, has seen and confronted dangers throughout the world, but never with his own daughter being held at his side as a pawn. As Amy tries to fulfill the mission that she has been coerced into completing, Tom attempts to find a way to escape with Denise from their captors, an act that ultimately will be more dangerous than captivity. The reason for all of this occurring is gradually made clear, as Cornwall makes a desperate effort to complete her first task and fulfill a second one, even as she is caught between the armed forces on one side and a dangerous foe on the other as the lives of her loved ones hang in the balance. THE CORNWALLS ARE GONE moves quickly from beginning to end. It puts a couple of capable and driven heroines --- often working against each other --- with the lives of innocents dependent on their success against deadly and horrific real-world adversaries. It’s a one-sit read that you won’t be able to finish fast enough and will wish was longer once you’ve turned the last page. Army Intelligence Officer Captain Amy Cornwall returns to her Virginia home to find it empty . . . someone has abducted her husband, Tom, and ten-year-old daughter, Denise. And if she wants to see them again, she must follow the ultimatum of the unknown kidnapper. But why target her family? For this, Amy has no answers . . . and if she wants to see them again, she must defy Army Command and follow the kidnapper’s instructions. But, in order to succeed, she must also find those responsible for set Army Intelligence Officer Captain Amy Cornwall returns to her Virginia home to find it empty . . . someone has abducted her husband, Tom, and ten-year-old daughter, Denise. And if she wants to see them again, she must follow the ultimatum of the unknown kidnapper. But why target her family? For this, Amy has no answers . . . and if she wants to see them again, she must defy Army Command and follow the kidnapper’s instructions. But, in order to succeed, she must also find those responsible for setting this cruel plan in motion. As she searches for answers, can Amy find the captive she’s supposed to liberate before her forty-eight hour time limit expires? And will it be enough to rescue her own family? Told from several viewpoints, the story unfolds in the author’s trademark short chapters, building suspense and ratcheting up the tension with each page turned. The pace is relentless, pulling the reader into the telling of the tale as the narrative races along at breakneck speed. Surprising secrets, unexpected revelations, and a twisty plot promise to keep readers on the edge of their seats until they’ve turned the final page. This one’s too good to miss. This one is rough to evaluate. Most the the book, felt ho hum. It moved along at a more or less reasonable pace. The writing was acceptable, there was decent flow to the story but the pace didnt feel right. This is a typical James Patterson no not need to really say anything about character development, there was enough there to fit into the story and nothing that let you know the character. The story itself was pretty well thought out and probably is the reason for the sometimes less than dynam This one is rough to evaluate. Most the the book, felt ho hum. It moved along at a more or less reasonable pace. The writing was acceptable, there was decent flow to the story but the pace didnt feel right. This is a typical James Patterson no not need to really say anything about character development, there was enough there to fit into the story and nothing that let you know the character. The story itself was pretty well thought out and probably is the reason for the sometimes less than dynamic pace and probably is justified; personally found parts sort of boring. Fortunately it all comes together in about the last 50 pages. Many things start to make sense and overall wrap up the story satisfactorily. James Patterson always delivers a great book and one with twists, turns and surprises. This one is no different. Amy Cornwall, is a Army intelligence officer, her husband Tom is a writer and they have a 10 year old daughter, Denise. Amy has made the Army her life, been to Afghanistan, seen the bad. Now she is home and facing charges of killing a prisoner in her custody. In arriving home, she finds an empty house, her husband and daughter gone and a note if she contacts anyone, they will be killed James Patterson always delivers a great book and one with twists, turns and surprises. This one is no different. Amy Cornwall, is a Army intelligence officer, her husband Tom is a writer and they have a 10 year old daughter, Denise. Amy has made the Army her life, been to Afghanistan, seen the bad. Now she is home and facing charges of killing a prisoner in her custody. In arriving home, she finds an empty house, her husband and daughter gone and a note if she contacts anyone, they will be killed. She has 24 hours to get to Texas, rescue a man they describe to her and bring him to them. Who are they - the drug cartel. Amy knows she is going to be reported AWOL for missing the meeting on the charges, but she has to rescue her husband and daughter and she is smart enough with all the intelligence that she knows to do it and get her family back. In the mix, the Army has sent CID Vasquez after Amy to bring her back to stand charges. Loved this depiction of corruption in the higher rankings of military government. As we look at issues today one could question every incident. Drug cartel's, trafficking, payoffs, torture, you name it. Amy Cornwall became a part of this information attempting to save her family. As she fights to stay alive in order to save her daughter and husband, she uncovers information she could never have dreamed of. Will she reach them in time? Who is the mysterious woman chasing her? James Patterson at h Loved this depiction of corruption in the higher rankings of military government. As we look at issues today one could question every incident. Drug cartel's, trafficking, payoffs, torture, you name it. One of the better co-authored books coming from James Patterson. Yet it still makes me wonder. Would I have taken the same steps to protect my family that Captain Amy Cornwall took? I too was a Captain in the Air Force not the Army yet I never raised a gun in violence at any time. For that matter I was never ever given a gun to fire when I was in the military. Now, when I was in the Army ROTC it was another matter. Perhaps it was all that Ranger training that Captain Cornwall got that made the d One of the better co-authored books coming from James Patterson. Yet it still makes me wonder. Would I have taken the same steps to protect my family that Captain Amy Cornwall took? I too was a Captain in the Air Force not the Army yet I never raised a gun in violence at any time. For that matter I was never ever given a gun to fire when I was in the military. Now, when I was in the Army ROTC it was another matter. Perhaps it was all that Ranger training that Captain Cornwall got that made the difference. I gave this book two stars only because I like Patterson and find it hard to score any of his books lower than two. However, this was the most convoluted and unbelievable plot imaginable. The first thing that got me was that this extremely fit and courageous female soldier would just break down sobbing not once but three times early on in the book. Then she carries out extremely difficult missions all without authority and...I had better stop before I blow the entire premise of this book. Amy Cornwall returns home to find her husband and daughter are missing. Soon she is sent on an errand to retrieve another man and swap him for the return of her family. Not bad, at least the storyline was different. It was a bit confusing, as the narrator kept changing multiple times per chapter without warning. It made for longer chapters than he usually has, but I had to keep rereading to figure out whose vantage I was reading. This was really good and crazy right until the end. Amy is a Captain in the Army and her husband used to work for the press who is now home with their daughter working on a book. Amy comes home to find them both gone and a letter telling her what to do to get them back. The rest is a crazy ride to find out who is part of this, how high it goes and if she will be able to get them back. It was very fast paced and kept you on the edge of your seat the whole way. Loved it. Amy Cornwall comes home to find her husband and her daughter missing. Her phone rings and the person on the other ends tells her she has to kidnap a man and bring him to a place in Texas to exchange for her husband and her daughter. To fail the mission would lead to the death of her family members. She is not to tell anyone about this so as not to involve any law enforcement agencies. Can Amy find her husband and her daughter before it is too late? Criminally dull effort from Patterson inc in book which has different titles stateside and elsewhere - why who knows somebody does. It would be good to know exactly who many Patterson books I have here but you know what it’s like with Goodreads get a cool feature like Most Read Authors then rip it away from the public because you can I guess. As usual, I mostly love James Patterson books. The Cornwalls Are Gone is no exception. It is a fast paced action thriller with great characters. What more can you ask for? The book is relevant to the times, with the drug cartels and the terrorist aspect. I think Amy Cornwall was given an impossible task and she kept me thinking. I am looking forward to the coming books by this author. Well I have read just about everything Patterson has written and he is still one of my favorite. Sometimes I get in a rut and just don't feel like reading. His novels always get me out of that rut. Amy is another of his enduring characters that you just can't wait for the next Book to come out.